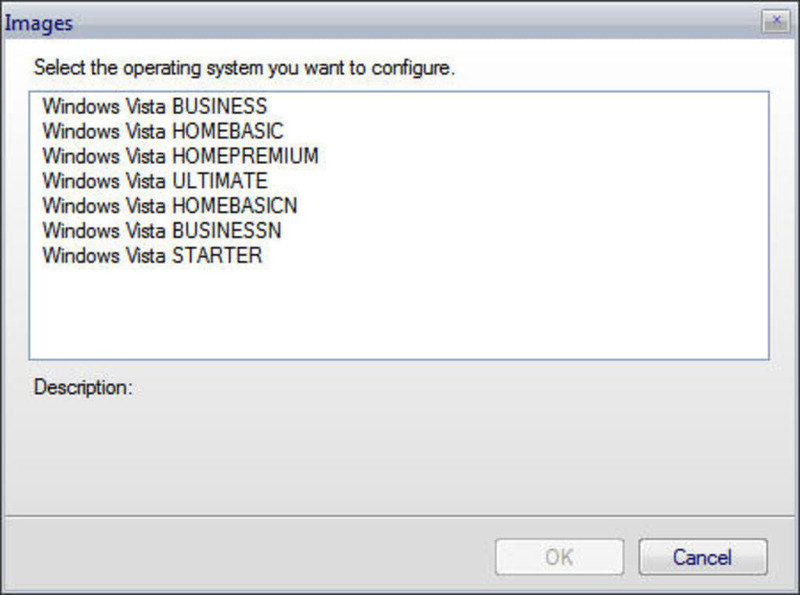 With Vista becoming ever more widespread, users are demanding more control over how it is installed. 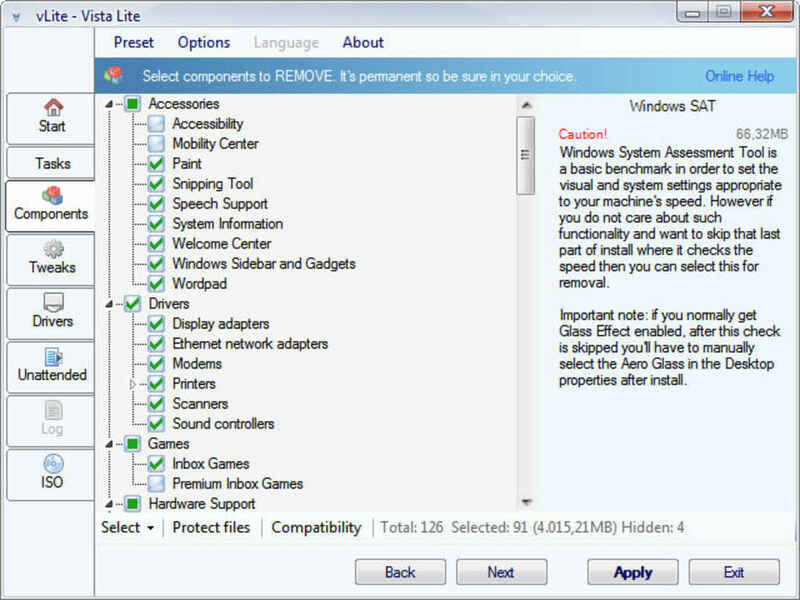 vLite allows you to remove unwanted components in order to make Vista run faster and to your liking. Note that this is not a hacking tool - all files and registry entries are protected as they would be if you installed the unedited version only with the changes you select. 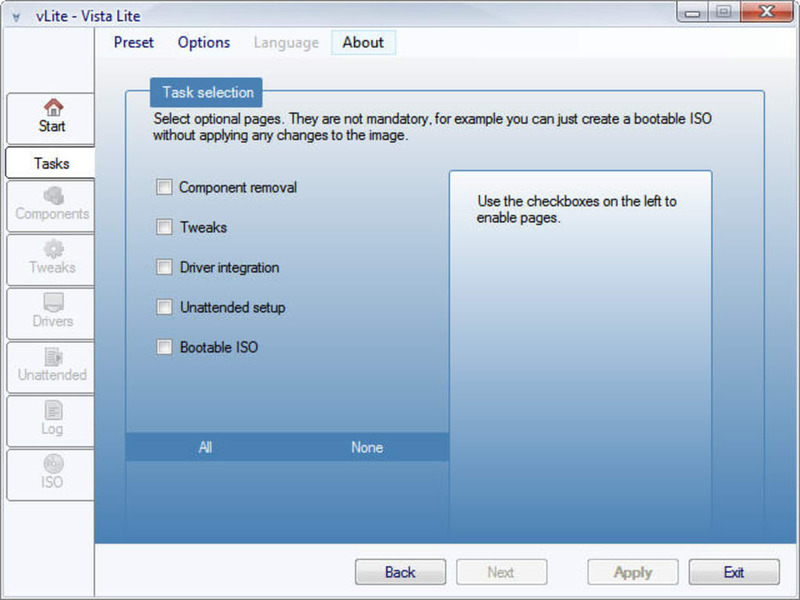 The program works by configuring the installation directly before the installation itself, meaning you'll have to remake the ISO and reinstall it. This method is much cleaner, not to mention easier and more logical than doing it after installation on every reinstall. You can select which components to remove but note that unchecking a component will not remove it. The developers say this has been done because not all components are supported by the program and disabling the check boxes removes any confusion. Be very careful when removing components however because they cannot be reinstalled afterwards. The program warns you to be careful with major components by displaying a "Caution!" warning label when you hover over it. This is a great tool for Vista users but use it with care because if you remove something you didn't mean to, you'll end up doing the whole Vista installation over again. 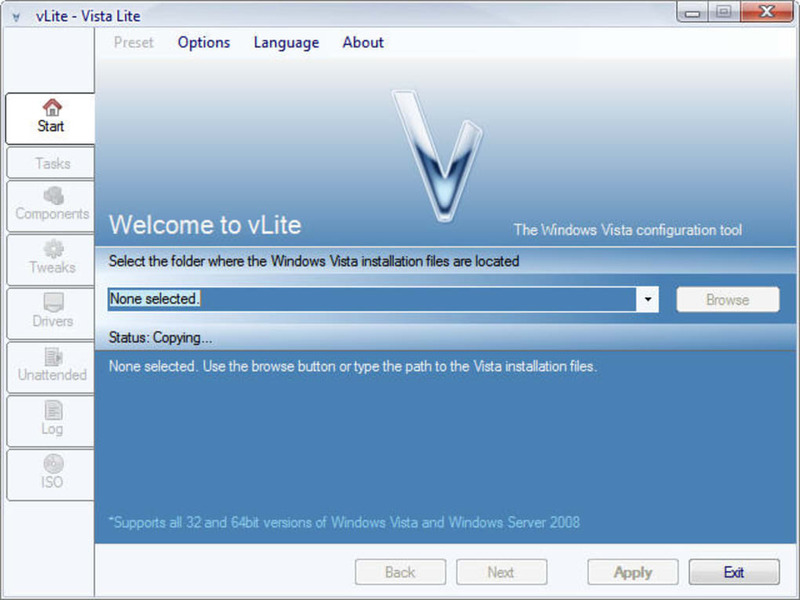 vLite is a tool for customizing a Windows Vista installation before actually installing it. 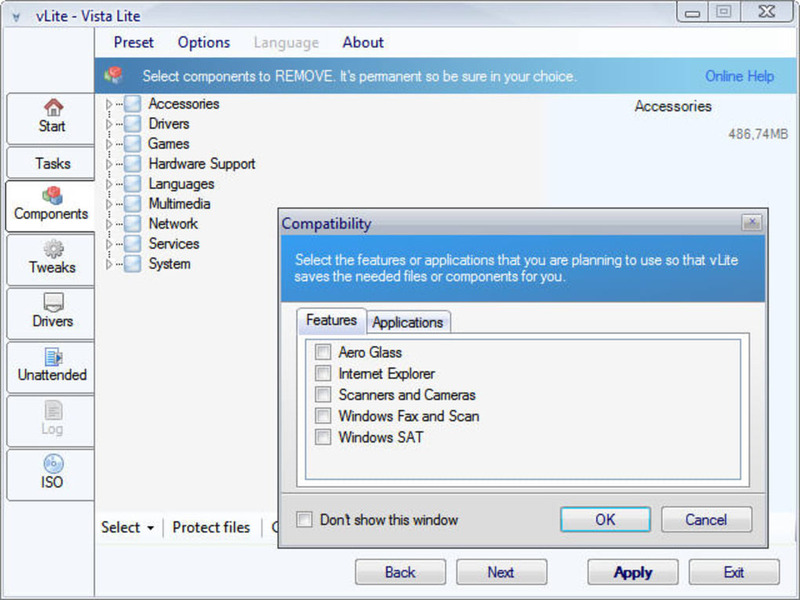 The main features are component removal, driver integration and unattended setup. It also allows you to split/merge Vista installation CDs, perform tweaks and a bootable CD/DVD. What do you think about vLite? Do you recommend it? Why?